It isn’t necessary to remove the two halves completely, when cleaning on an average day, but we opted to show the ease in which you can pull the handguards and gas tube out for the those days you want to be more thorough. Regardless of the “piston” hype from the past few years, the firearm still gets quite dirty, it just centralizes the filth outside of the action. 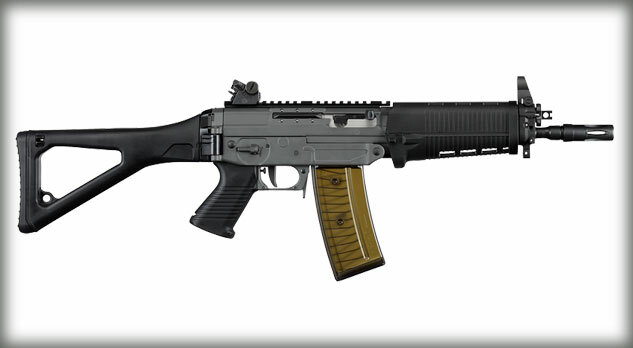 The European sold SG550 series had very few semi-auto imports into the United States before the import bans ended the joy. 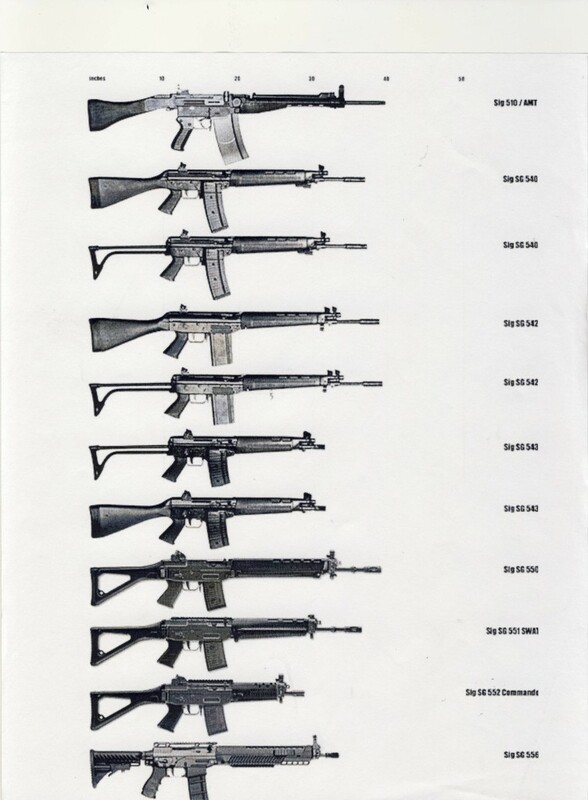 SigArms (now Sig Sauer) of the USA made (with some imported parts) and sold them as SIG556 series rifles. 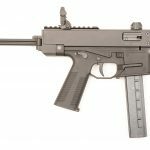 The SG, for SturmGewehr (which is where the English speaking world obtained the nomenclature of Assault Rifle), was replaced with SIG as a catalog and branding name. In my notes and posts you’ll notice I often exclude the middle letter and return it back to SG. This is often out of habit of typing as much as me just being obnoxious. I’m going to gloss over a few details here but I quick overview of the company names is helpful. SIG of Switzerland is primarily just a branded name of the Swiss Arms rifles. SIG Sauer is branding used by JP Sauer of Germany whom imports some USA and Swiss made firearms as well. SigArms of the USA became independent in 2000 and re-branded in 2007 as Sig Sauer. The USA entity also imports some firearms from the namesake companies but mostly manufactures in the USA by license, on expired patents, or on their exclusive designs. A lot of monies are paid crisscrossing, I’m not privy to any absolutes in this area, but you are not going to buy a newly manufactured firearm that was made by “SIG” anymore. The SigSauer Mosquito, .22LR M1911, and SIG522 are actually manufactured by German Sport Guns which explains the difference in warranties. Please feel free to comment with corrections, dates, specifics, or ammunition coupons.